I have had plenty of conversations with people about the topic of religion and spirituality. In contemporary vernacular, those terms are usually used to segregate a free-flowing belief in "the sacred" (spirituality) from an organized expression of worship to a God with a particular name and agenda (religion). Those conversations usually end up with the other person acknowledging a loosely held conception of a kind spirit-being whose main goal is for us to have a good time while we live (as subjectively defined by that individual). What is the criterion of judgment? How long does that judgment (whether favorable or unfavorable last)? I find that this is where it always gets interesting. The majority of people that I personally speak with truly believe that if the judgment goes against them - by which they mean that, apparently, they didn't make the most of their life by maximizing their personal potential and/or enjoyment - then they get a "redo" which is effected through reincarnation. This is a radical blending of ideas from multiple faith systems, which would be unintelligible to anyone throughout the history of the world. But, I concede that just because you're in the minority, it doesn't mean you're wrong. I would, however, insist that it's not a wise way to live (that's all I'm trying to convince you of in this post). Trying to blend ideas from multiple faith systems is as pointless as a spork. Forks and spoons are useful on their own, but, when combined, they lose all their distinctive usefulness. Or, to give another analogy, think of a mule. Donkeys and horses are useful on their own, but when a male donkey and female horse breed and offspring, it's a stubborn and sterile mule. Some things are just incompatible, and when we force them together we create blockage not synergy. Growing up I went to the beaches of North Carolina. 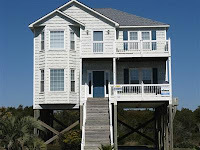 I was always impressed with the large beach house that were built along the coastline. 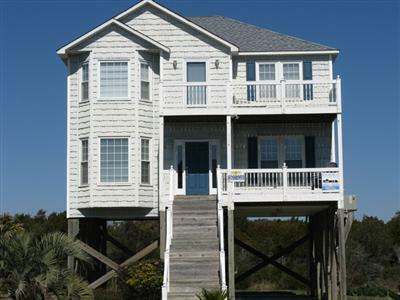 They all had a distinct architecture - like in the movie "Nights in Rodanthe"). These homes belonged at the beach. Then one day, back in my home town, I noticed a house that didn't look quite right. What was the problem? Someone who obviously appreciated the beach house architecture decided to build that style of house right there in suburbia! The product wasn't good. In the same way that a suburban house built at the beach wouldn't capture the mystique of the sea, this house failed to capture the utter similitude of life in the suburbs. It stood out...in a bad way. In the same kind of way, I see many people attempting to put different faith traditions into a blender and pour themselves a "God-smoothie" that is whatever flavor they desire for that day, month, or year in their lives. This hybrid faith functions like a personal tonic that makes the person feel like they are in touch with the transcendent world that is far beyond the lifeless virtual world (think Farmville) they've created for themselves. I don't think these self-serving "Baristas of Faith" are being intentionally misguided in their attempts to find just the right blend to suit their perceived needs. But I do think they are closer to the recipe of a "suicide" (a fountain drink made by taking 2 ounces from every soda on tap) than the promise and experience of salvation they are seeking. Even the Dalai Lama recommends against this type of practice. He says, "In the United States I have seen people who embrace Buddhism and change their clothes. Like the New Age [for instance]. They take something Hindu, something Buddhist, something, something....That is not healthy....There cannot be unification between Christianity and Buddhism....For individual practitioners, having one truth, one religion, is very important. Several truths, several religions, is contradictory." Huston Smith, a former philosophy professor at MIT and religion professor at Syracuse, makes the same point with the metaphor of digging a well: "If what you're looking for is water, better to dig one well sixty feet deep than to dig six wells ten feet deep" (Marcus Borg, The Heart of Christianity, 223). The fact that people are looking for faith in something beyond themselves is a positive indication. It means that the promises of self-esteem, self-actualization, and self-aggrandizement have proven unfulfilling. But, in that search for what is real, I caution against constructing a hybrid faith. 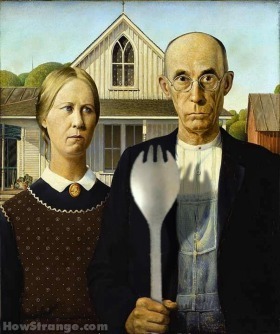 After all, look at the spork and the mule. What's the Difference Between Love and Charity in the New Testament?